" I was so scared of being late to my classes on the first day as a freshman but this app helped me find the right buildings very easily! I’d recommend this to anyone who is new to a college campus! " " Fall 2017-This app was immediately helpful on my first day at this Univ! Don't get caught at the last minute not knowing where you're supposed to go! Try asking a junior or a senior where a building happens to be and they will stare at you blankly and then wave their hand in some general direction that covers most of the campus as they give you "directions". This app got me to my classes on time, showed me the quickest route, allowed me to find food when I need it and even my parents have the app on their phone so that they can show up when I need them. I wish that I had this at my other University! This is a must-have app! " One of the most useful apps!
" Super easy to use and accurate. Very smooth and always useful when you’re in a big campus. Thank you so much for developing this. Can’t count how many instances where this app has saved me time! " 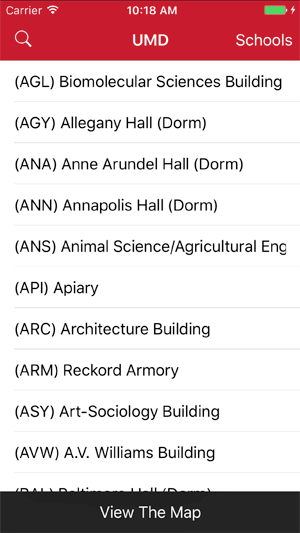 Find any building on campus in seconds with fully searchable building lists. 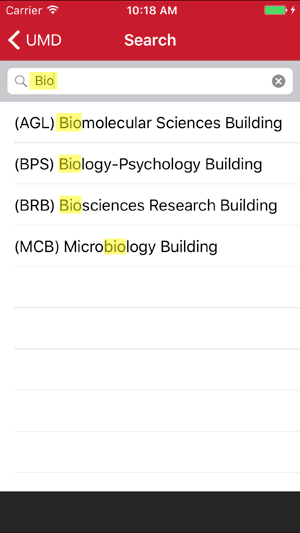 You can search any part of building names, including partial and fragment searches. Searching for your destination is fast and easy with the Campus Maps app. View your destination and your path to it in stunning high resolution imagery! We license maps from Google and Apple to provide you the best experience. 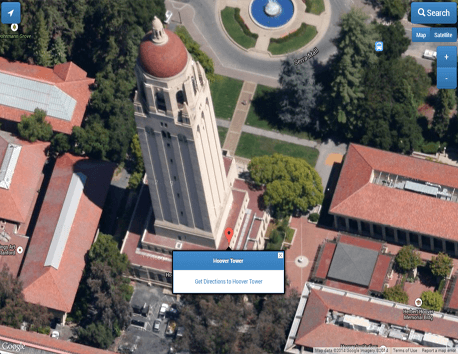 We support satellite imagery and map overlay mode. 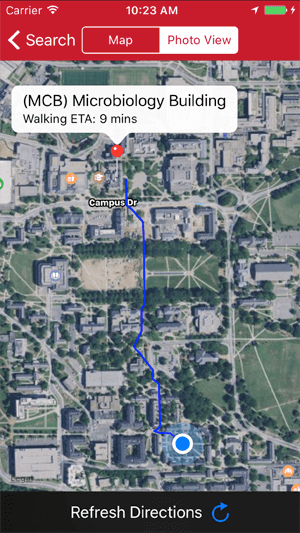 Campus Maps is the only map app built for students, by a student. Launched out of a UMD dorm room in 2011, Campus Maps is regularly updated and maintained. Students & visitors everywhere enjoy Campus Maps today!